It was a Chinese pharmacist that invented the modern electronic cigarettes. This was Hon Lik in 2003. Most of these devices are manufactured in China. Over the years, their use by people from different parts of the world has increased geometrically. In the United States and the United Kingdom, the use of electronic cigarettes is common due to reasons such as: reduced risks, the need to quit smoking, recreational purposes, and others. By 2013, the number of users had reached several million worldwide. Electronic cigarettes are handheld devices that simulate the process of cigarette smoking. They are also known as e-Cigs, e-Cigarettes, vapes or personal vaporizers. These electronic devices work by heating a liquid which generates an aerosol that can be inhaled. “Vaping” is a term used to describe the process of inhalation. E-Cigs usually have a sophisticated look that is quite attractive to vaping aficionados. The three types of cigarettes are cigalikes, eGos, and mods. Cigalikes look like real cigarettes, while eGos are bigger than cigalikes. They have refillable liquid tanks. Mods are custom-made vapes made from basic components and existing products. The liquid in the vaporizer contains propylene glycol, glycerin and flavorings. It may or may not contain nicotine. Other names given to the liquid are e-juice, vape juice and e-liquid. The flavors available are over 8,000. Some brands offer sweetener-free e-liquid. Electronic cigarettes come in a variety of designs and sizes. They also have different levels of performance and various accessories. If you are looking to get your very first vape, consider purchasing one made by a reputable manufacturer via a trusted supplier. Kits for e-Cigarettes are also available for sale. You can check online for customer ratings or reviews of e-cig manufacturers and suppliers in order to make the right choice. Users may start by trying a disposable EC before switching to a later-generation device. Most later-generation vapers shift to the modern ones in order to get better satisfaction. 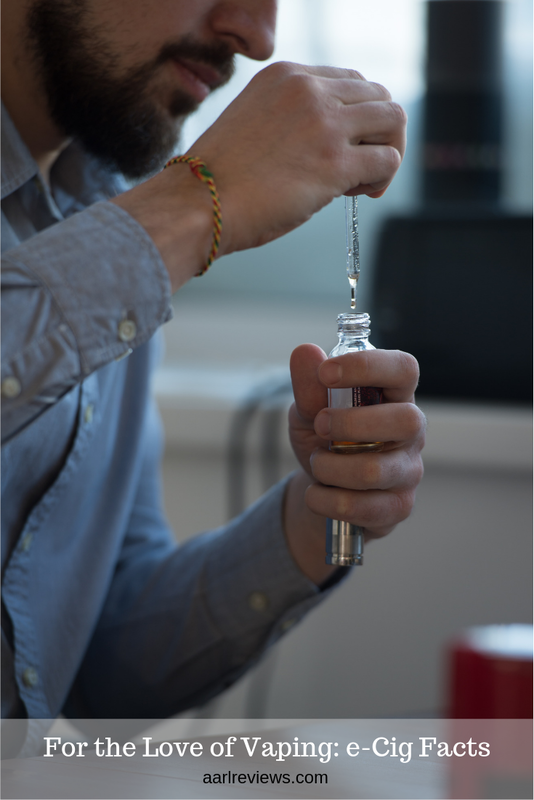 Some adjust their vaporizers to produce more aerosol. Globally, there are over 500 brands of vaporizers, with worldwide sales of over 7 billion US Dollars. Some brands are focused only on manufacturing e-liquids, rather than providing all products related to vaping. They offer high-quality e-liquids along with top-notch customer service. As the number of vapers are on the increase, more companies are springing up in order to tap into the industry’s growing market. This increase in demand is as a result of people looking for a healthier alternative to smoking cigarettes. It has become increasingly difficult to separate high-quality vapes from those of low quality. Nonetheless, all that is needed to make the right choice is a few minutes of internet research. Daily use is common among vaping enthusiasts. A number of EC users are middle-aged men who also smoke regular cigarettes. The use of vaporizers by women is on the rise. The long-term effects of vapes have not been ascertained. It is said that they may be healthier than tobacco cigarettes and may aid some people in getting rid addiction to smoking regular cigarettes. Past studies have not proven that e-Cigarette use can lead to serious negative effects. Most of the toxic chemicals in tobacco smoke are not present in EC vapor. The ones that may be discovered are less than a percent of the corresponding levels in tobacco smoke. The vapor in ECs consists of traces of heavy metals and toxicants at concentrations that are considered acceptable in inhalation medicines. The aerosol may contain potentially harmful chemicals not seen in tobacco smoke at levels permissible by workplace safety standards. Read more about that here. Due to the overlap of the use of vapes with medical drug policies and tobacco regulations, EC legislation is debated in a number of countries. In 2016, a European directive was given to set standards for e-Cigarettes, e-liquids, ingredients, and child-proof liquid containers. Also in 2016, the US FDA included vaporizers under its regulatory power. Vaporizers allow cannabis smokers to inhale cannabinoids. Cannabis consumers are of the opinion that vaporizing cannabinoids at low temperatures is safer because it produces lesser amounts of toxins than a marijuana cigarette. Cannabis users can silently inhale deodorized cannabinoids with minimal disturbance to people near them and less chance of being noticed. This is called “stealth vaping”. Recipes consisting of liquefiable synthetic cannabinoids are available online. The major components of an e-cigarette are a battery, a mouthpiece, a microprocessor, a cartridge (tank), an atomizer (heating element). There may be a LED light on the end. Mechanical e-Cigarettes (mods) are different in the sense that they contain no electronics. They have a circuit that is closed by a mechanical switch. The atomizer has a small heating element/coil that turns e-liquid into an aerosol. It also has a wicking component that draws e-juice onto the coil. When a button is pushed or a pressure sensor is activated, the heating element atomizes the e-juice. For the liquid to be vaporized, it has to reach about 100 to 250 ͦC. It can then be inhaled. If you have taken up vaping as a hobby or for any other reason, the love for it is only the beginning. The benefits of ECs cannot be overemphasized. Just make sure to use the device responsibly and according to government regulations/policies.